You are here: Home / Free Samples | Freebies | Free Stuff / Claim Your LEGO Model Kits + LEGO Magazine Subscription! Claim Your LEGO Model Kits + LEGO Magazine Subscription! The Club is an entirely FREE-to-join club for LEGO fans ages 4-12 years. When your child wishes to join the Club, you can allow them to subscribe to the free LEGO Club Magazine and access the safe & secure Club website. You can also receive the Club email newsletter, with the most up to date LEGO news and features. Being a Club member lets a young LEGO fan become part of a worldwide community of talented, creative and incredibly imaginative fellow builders, all in a completely safe and secure way. Click the link above to get your subscription totally free! Allow 4 – 12 weeks for your magazine to start arriving in your mailbox. No credit card required, and you will not be billed. Younger kids will get Lego Club JR., and older kids will get LEGO Club Magazine. Membership is valid for 2 years and includes the free magazine, mailed to you free! This free club includes access to their online community, news about free events such as their monthly FREE LEGO Mini Model Build. 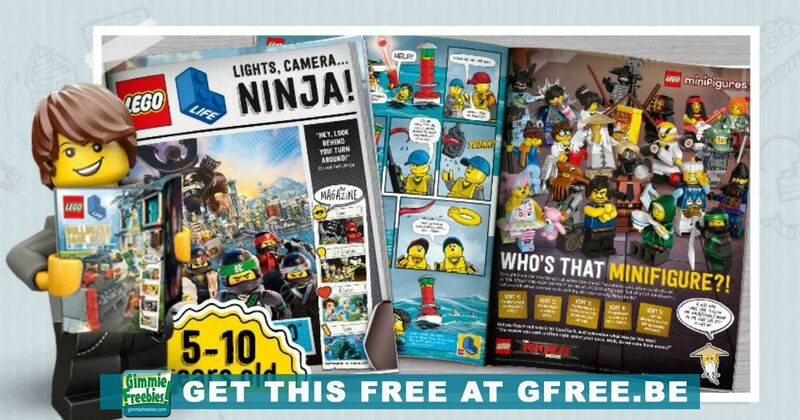 To get this free LEGO magazine, click the link above and follow instructions to sign up free. Membership can be canceled at any time! FREE Magazine subscriptions are available in many countries as well as the United States. Visit the link above to learn more.